SAN JOSE, CA, UNITED STATES, January 11, 2019 /EINPresswire.com/ -- Today, RetailNext Inc., the worldwide expert and market leader in smart store retail analytics for optimizing shopper experiences, announced new patent grants for conducting full path analysis of in-store shopper journeys and enhanced processes to improve accuracy of tracking solutions. RetailNext will be showcasing its innovative solutions, complete with its full path analysis and interior analytics capabilities, at booth #3473 at NRF 2019, Retail’s Big Show & EXPO, presented by the National Retail Federation in New York City, January 13-15. United States patent 10,163,031 empowers RetailNext’s full path analysis capabilities, allowing retailers to measure the complete in-store shopping journey by mapping the entire sales floor and stitching together data streams from different video sensors. Combined with RetailNext’s powerful suite of interior analytics solutions, including dwell conversion and merchandising, retailers are able to determine how shoppers, over time and at scale, navigate and shop through the store, including engagement with various displays, product merchandise and service areas. United States patent 10,134,146 covers the detecting, tracking and counting of objects in videos, and is used to establish the market-leading accuracy of RetailNext’s shopper traffic counting solution with its Aurora all-in-one sensor. The first retail vertical IoT platform to bring e-commerce style shopper analytics to brick-and-mortar stores, brands and malls, RetailNext is a pioneer in focusing entirely on optimizing the shopper experience. Through its centralized SaaS platform, RetailNext automatically collects and analyzes shopper behavior data, providing retailers with insight to improve the shopper experience real time. Over 425 retailers in more than 75 countries have adopted RetailNext's analytics software and retail expertise to better understand the shopper journey in order to increase same-store sales, eliminate unnecessary costs and mitigate liability risks. RetailNext is headquartered in San Jose, Calif. Learn more at www.retailnext.net. 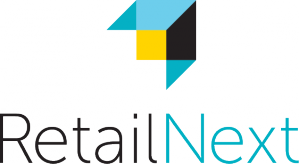 RetailNext Inc. and RetailNext are trademarks of RetailNext Inc. in the United States.